Portland, Oregon-based artist Brenda Mallory received the Ucross Fellowship for Native American Artists. She will spend a month in Ucross, receive a stipend of $2,000, and the residency will culminate in an exhibition of her work. 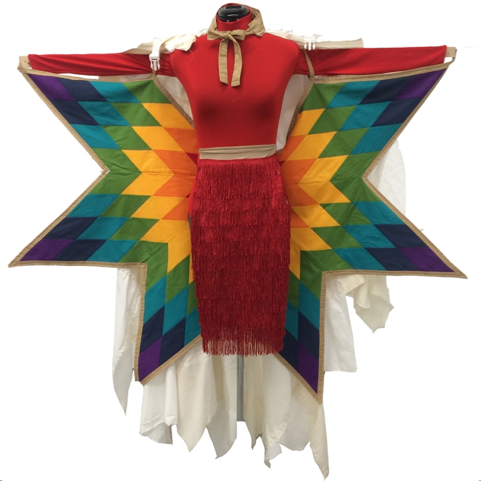 Mallory is the second Native American artist to receive the fellowship. The Ucross residency program offers living accommodations, food and workspace to approximately 85 artists each year. Mallory’s mixed media work combines found objects from industrial and natural origin, addressing the tenuous connections between humans and nature. She said her Native American background often inspires her art. 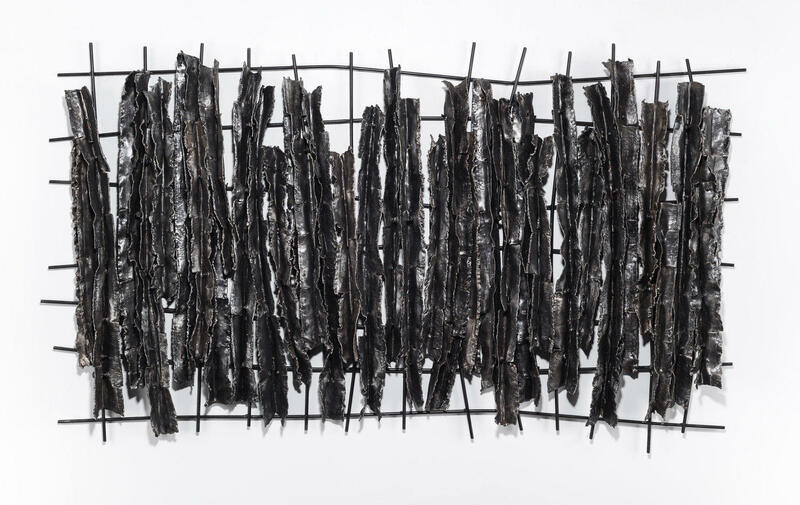 “I think it does influence my work, in this interest I have in something that has been broken or disrupted, which has happened to native cultures across this country. And a lot of people like to think that Native Americans are gone or destroyed - their cultures - but we’re very strong cultures. And even if we don’t look like what Hollywood thinks we look like, we’re still here,” she said. 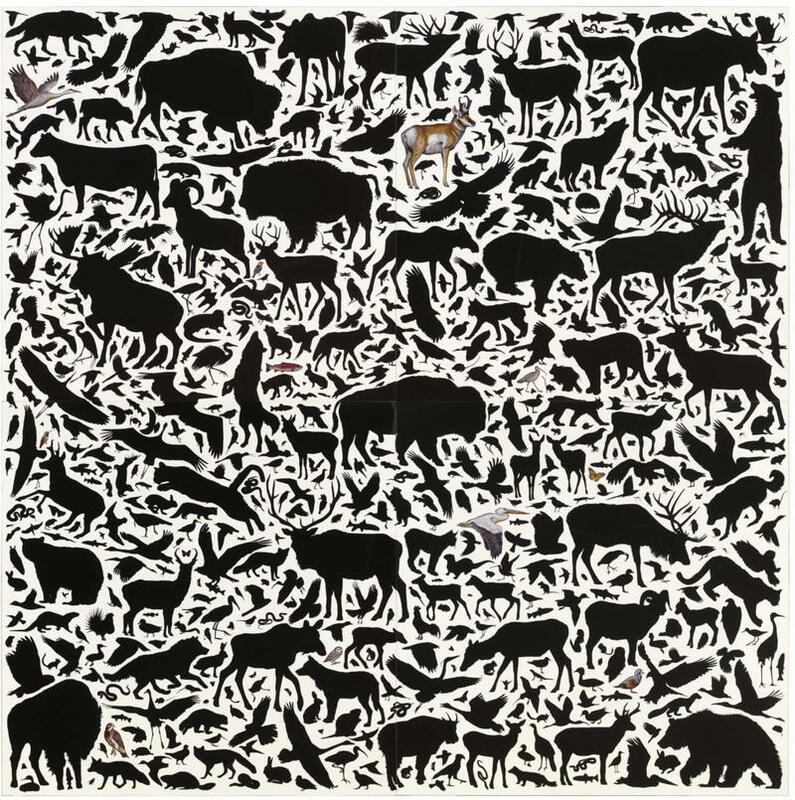 Although much of her work is in sculpture, Mallory plans to experiment in two dimensions while at Ucross, working mostly with paper, drawing and glue. Mallory said her work is about disruption, which is tied to how Native American history was disrupted. “A lot of my work is made from things that are broken and put together, or lines that are drawn or sewn, that I then cut apart and repair in a way in which the repair is obvious as I can make it. I’m trying to say the repaired line or the repair can be as interesting or as good as the pristine state of something,” said Mallory. The Ucross Foundation accepts applications for residencies and fellowships from visual artists, writers, composers, choreographers and interdisciplinary artists. 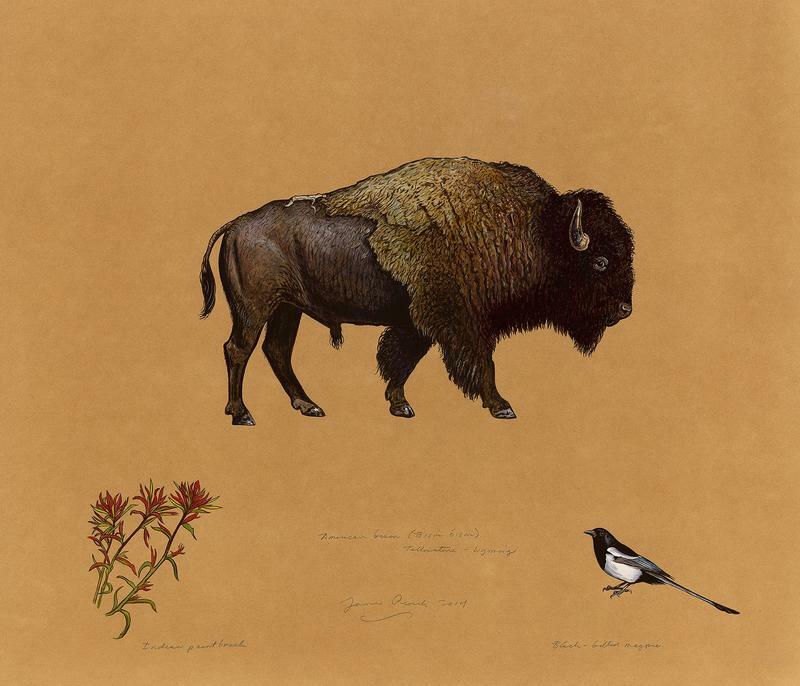 A new exhibit at the National Museum of Wildlife Art in Jackson highlights the artwork of painter and nature writer, James Prosek, one of three people in the show exploring the meaning of animal migration. 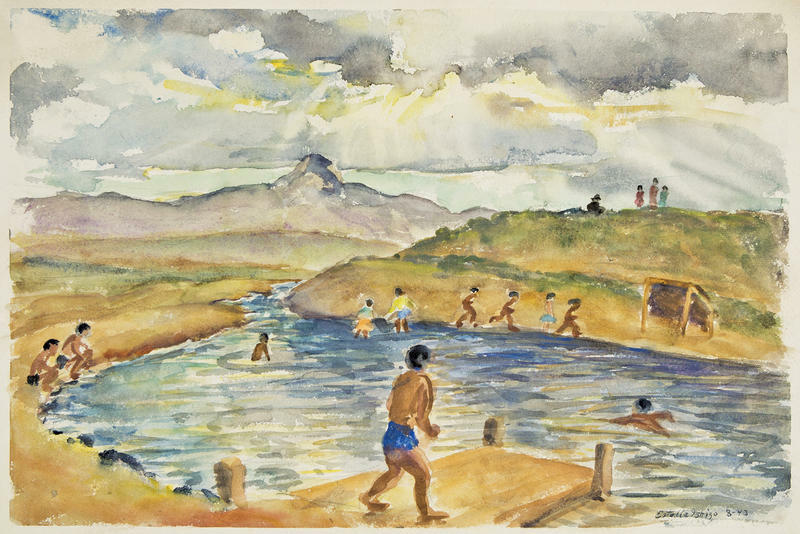 Artist Estelle Ishigo was one of the few white women that went to a Wyoming Japanese-American internment camp. Estelle and her husband were imprisoned at Heart Mountain in 1942. During their three years at the camp, Estelle painted watercolors portraying the daily life. 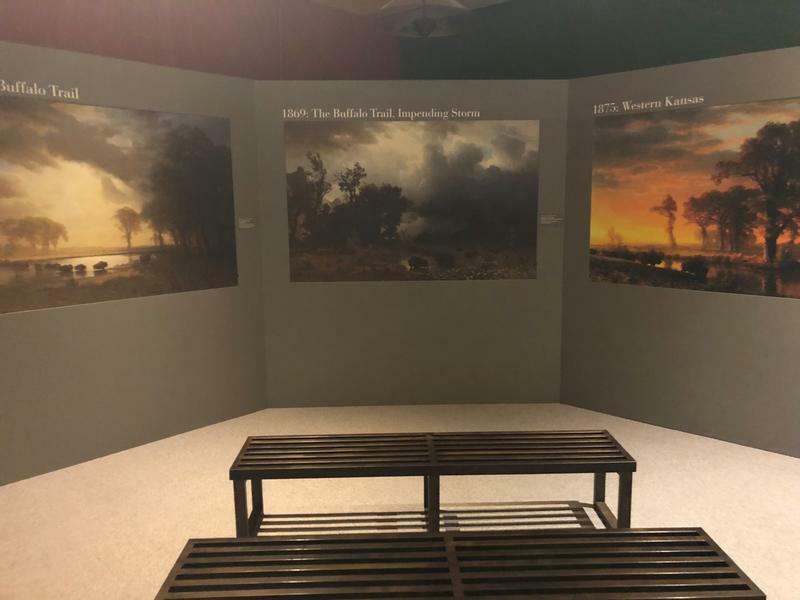 A new exhibit at Heart Mountain Interpretive Center called The Mountain Was Our Secret displays a collection of Estelle’s work.